The entire McHawes crew was off today. It seemed the best thing to do was head to the movies. 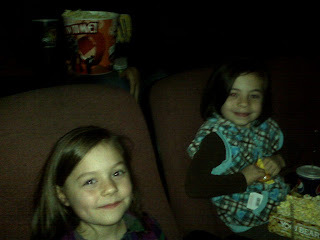 After a few orders of popcorn and a couple sodas we settled in to see the cinematic masterpiece - Gnomeo and Juliet. This is the picture of the day.